Brussels sprouts have gotten a bad rap for far too long, because they're not only edible, but delicious. All it takes is a great recipe and an open mind to discover the truth about these tiny cabbages, elevating them from a scary side dish to a new-found favorite food. In a world filled with gross, putrid foods, it's always the poor Brussels sprout that gets picked on for being inedible. Heck, many of us have hated this little green vegetable since childhood. 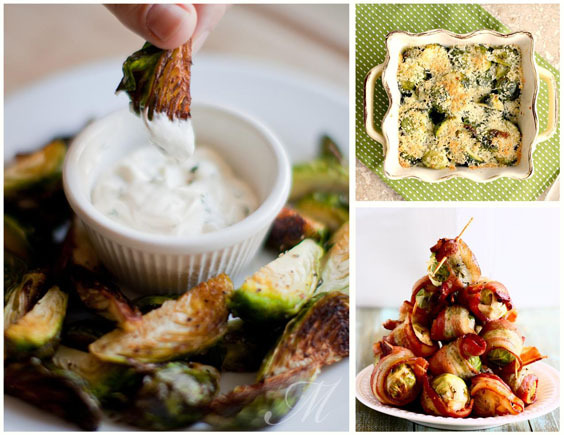 But Brussels sprouts have gotten a bad rap for far too long, because they're not only edible, but delicious. All it takes is a great recipe and an open mind to discover the truth about these tiny cabbages, elevating them from a scary side dish to a new-found favorite food. Try one of the following recipes if your inner child isn't convinced. After all, it's high time you appreciated this misunderstood vegetable and went back to hating broccoli like a normal, rational adult. 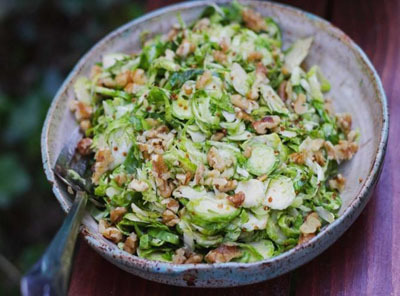 Anna of Costa Kitchen gets rave reviews for her Brussels sprouts recipe, and it's easy to see why. 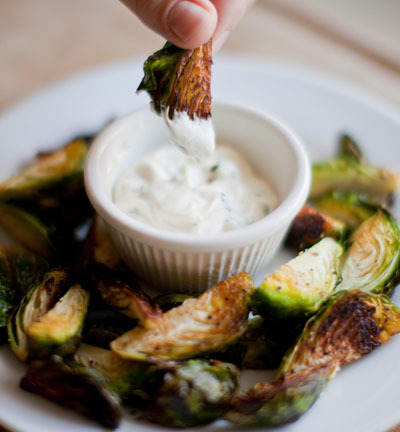 Who wouldn't love a perfectly crisped wedge dunked in garlicky aioli? 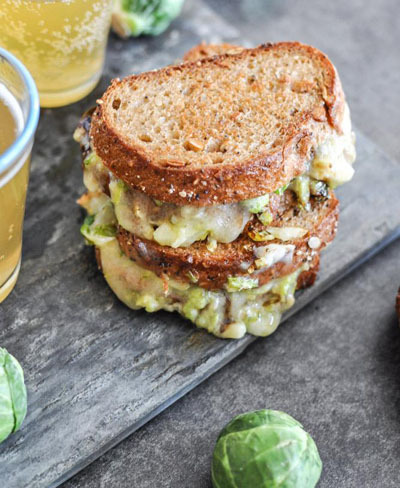 If you're still not sure how to embrace Brussels sprouts, melting them under mounds of cheese is a good place to start. Jessica from How Sweet It Is piles them atop whole grain bread with Havarti cheese and a balsamic reduction before grilling it up in a skillet. See her recipe here. 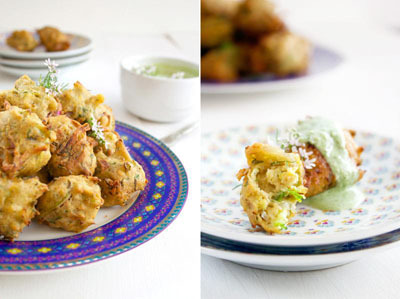 Deep-frying is also a good way to ease into sprouts, especially with this veggie pakora recipe from Caroline at The Patterned Plate. Topped with raita made from yogurt, chili pepper and corriander, it's definitely a fun way to get your greens. 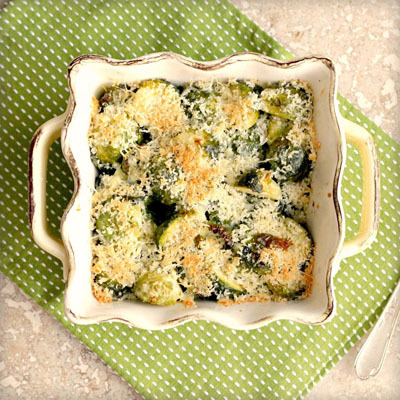 Pass on the potatoes and instead try a hefty pan of Brussels sprouts au gratin with this cheesy recipe from Lynda at TasteFood. Odds are good that it's going to please everybody around the dinner table. 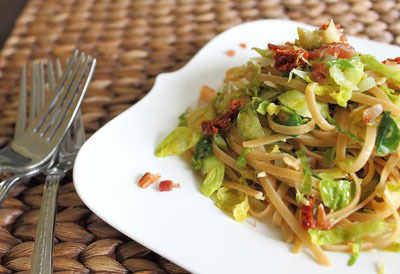 When you mix Brussels sprouts with pasta, bacon and sun-dried tomatoes, you can't go wrong. This filling recipe from Gina at Running to the Kitchen is proof. 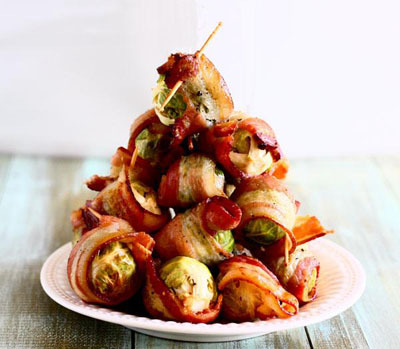 Or you could forget about the pasta and the sun-dried tomatoes and make these bacon-blanketed Brussels sprouts instead. This recipe comes from Lauren at The Talking Kitchen, who recommends an accompanying ramekin of mustard BBQ dipping sauce. 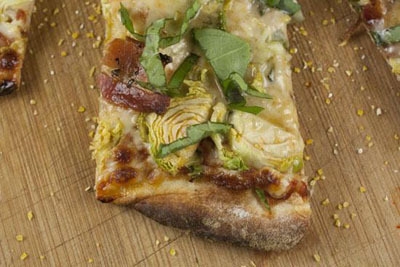 You can top a pizza with just about anything, and Brussels sprouts are no exception. Bake some into your next homemade pie like Nick at Macheesmo, who also added bacon, bleu cheese and fresh basil. See his recipe here. 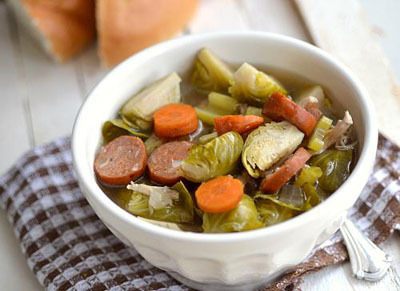 Claire at The Realistic Nutritionist thinks Brussels sprouts are the cutest vegetable ever, which is partly why she loves this recipe for Brussels sprout and chicken sausage soup (the other reasons being its heavenly taste and easy preparation). Keep things simple with this salad recipe from Brian at A Thought For Food. With so much flavor, you'd never guess it's made with only a handful of ingredients — and that includes the components of Brian's lemony mustard dressing.